A hilly island in the Southern Dalmatian island group with its highest point at Hum (415 m). The hills are interspersed with plains and hollows. There are no surface streams and drinking water can only be found on the Prgovo Plain. The narrow coastal strip is rocky, but the island is otherwise covered with vegetation. The settlements of Lastovo in the north and the in the southwest are connected by a road. The inhabitants are engaged in agriculture, wine, olive and fruit growing, navigation, fishing, fish processing and increasingly tourism as well. 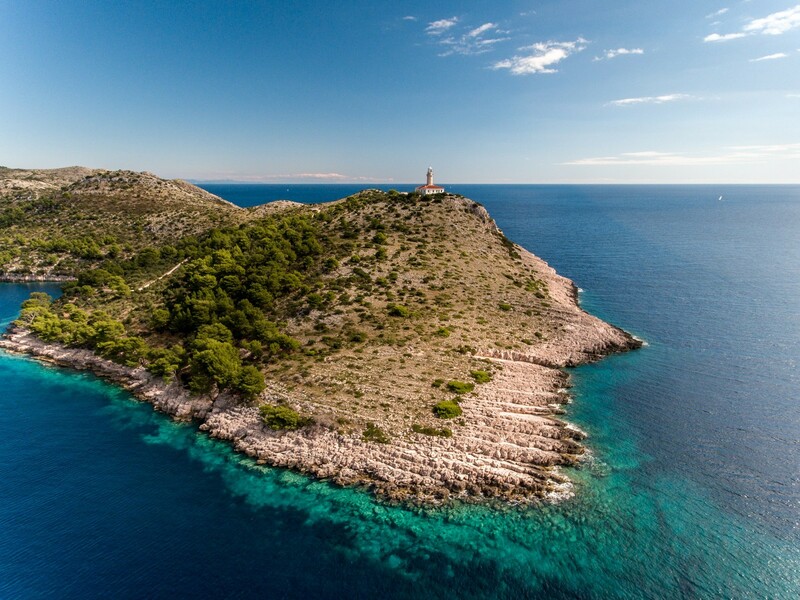 The island of Lastovo is surrounded by a series of islets and reefs.The small island of Prezba is connected with Lastovo by a bridge the settlement of Pasadur on the coast of Lastovo. 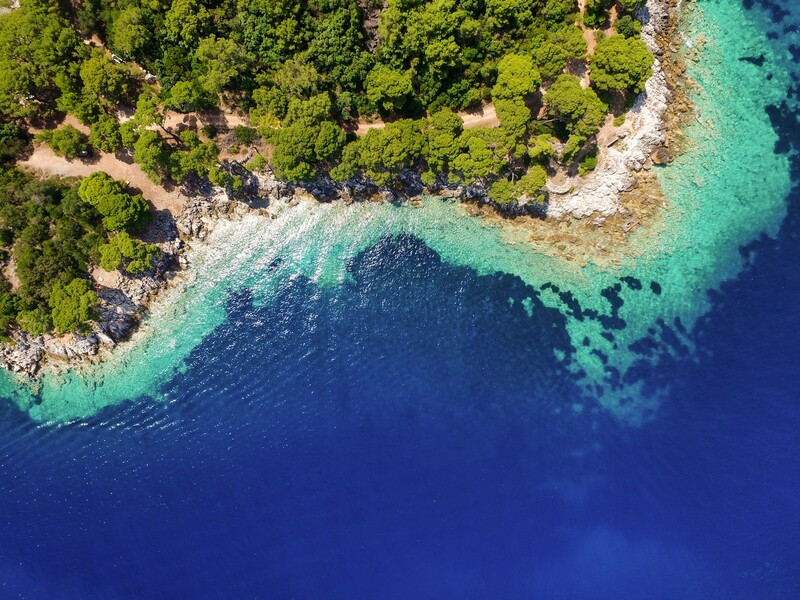 Between Prezba and Lastovo lie the Velo jezero (Great Lake) and Malo jezero (Small Lake) Bays (also known as Velji Lago and Mali 30), which are well-protected from the bora and provide good anchorages. West of Prezba lie the islets of Mrcara (the surrounding sea is known for its lobsters) and Kopiste with a wide bay on the northwestern side, which provides a suitable anchorage for small boats, and several sandy beaches. Northeast of Lastovo lies a group of islets and reefs, of which Saplun is well known for its sandy beaches. The island of Lastovo is connected with the mainland and nearby islands by the Ubli-Vela Luka-Hvar-Split ferry line. Historical sources mention the island as a Greek colony called Ladesta. The Romans occupied it at the end of the 3rd century B.C. and named it Augusta Insula (Emperor's Island). After the roman era, the island was ruled the by the Neretvans (Neretljani), Venetians, Croatian-Hungarian kings, the Zahumlje municipality, Dubrovnik, Austria and Italy. The island was supposedly strategically important to all these rulers, yet it was never strongly fortified. The Socialist Federal Republic of Yugoslavia closed it to foreigners along with the island of Vis, thus preventing tourism from developing. LASTOVO TOWN - The main and largest settlement on the island lies on a steep slope on the northeastern part of the island. Many houses have been abandoned. On an elevation above the settlement stand the Glavica Fortress, built by the French, and a meteorological station. 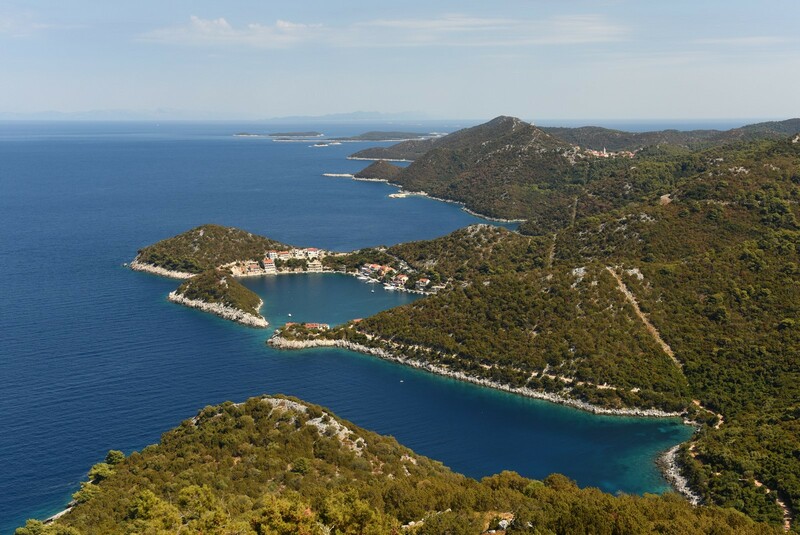 The elevation affords an incredible view of the eastern part of the island of Lastovo and the island of Korcula. The oldest cultural monument is the Parish Church of sv. 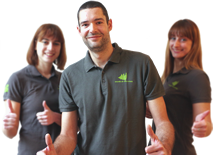 Kuzma i Damjan (Sts. Cosmas and Damian) from 1473. The inhabitants strive to preserve the traditional carnival custom which is one of the most picturesque in Dalmatia. The best harbor for the settlement of Lastovo lies in the Zaklopatica Bay to the west. It is protected from all winds except the bora. On the coast below the town lies the small Lucica harbour with a launch ramp, which is exposed to northerly winds. PASADUR - A settlement on the northwestern part of the island with the hamlet of Podlenga on the neighboring island of Prezba, which is connected with Lastovo by a bridge with a clearance of 2.5 m. It lies on the Velji Lago and Mali Lago Bays. On the inner Velji Lago Bay lies Jurjeva luka, a former military harbour. 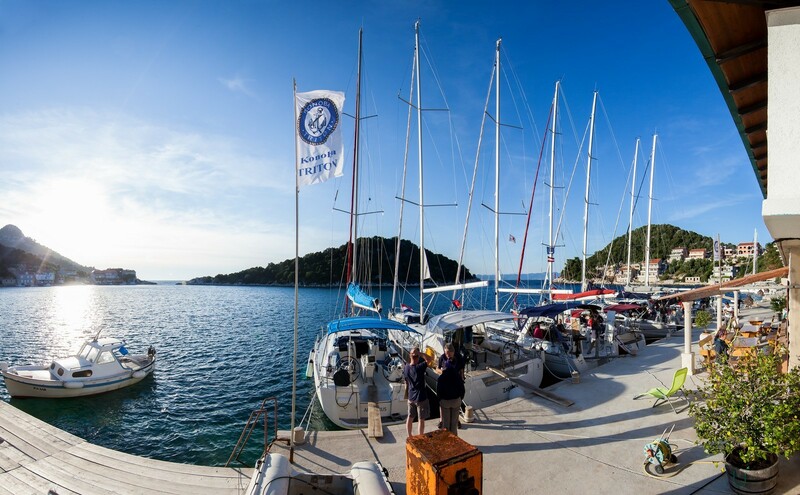 Berths are available at a pier with a depth of 3 m. There is a good anchorage in the western part at a depth of around 6 m, which is protected from all winds. Another anchorage is located along the coast in front of the Solitudo Hotel. 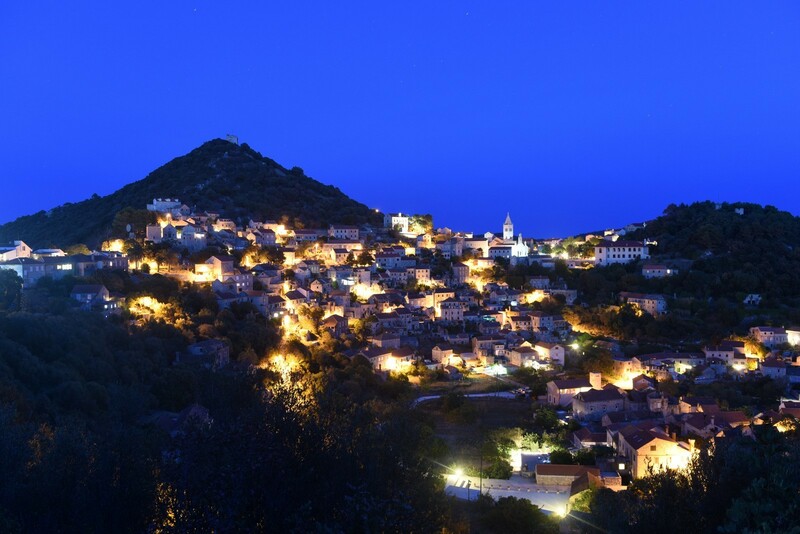 SKRIVENA LUKA - A settlement on a bay of the same name on the southern coast of Lastovo. The pine forest on Cape Struga is suitable for camping. The bay resembles a lake and is almost completely protected from the winds by two peninsulas with Capes Struga (with a lighthouse) and Strazica. Only the gusts of the bora and the jugo can be felt. 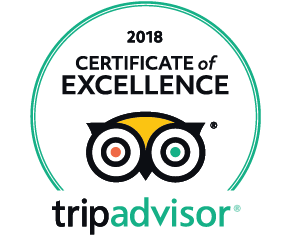 The best anchorage can be found in the northern part at a depth of around 5 m. The locals call the harbour Porto rosso, it is renowned for its excellent inn. UBLI - A settlement with a ferry landing (Split, Vela Luka, Hvar) and the main port of the island on a bay of the same name on the southwestern coast. Ubli is a young settlement built in the 20th century. The foundations of an Early Christian basilica from the 5th or 6th century were discovered on the coast of the nearby Velo jezero (or Velji Lago) Bay. Part of the bay is lined with a 300 m long quay. There is a small shipyard with a launch ramp at the end of the narrow bay. Boats can berth at the quay at a depth of up to 6 m. There is a ferry landing in the northern part.